Welcome teachers, homeschoolers, and students of Thomas Edison. 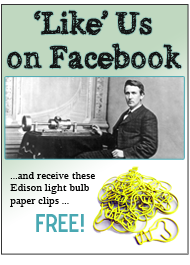 Every day, teachers are finding Edison more and more relevant in the head and hands world of STEM education. In this section, we will be bringing you lots of examples about how to engage your students and children with practical, team-based, classroom exercises and activities. Stay tuned and check back often! Or sign up for our newsletter and receive updates straight into your inbox. New Jersey: The Invention State – Traditionally, New Jersey has been referred to as the Garden State, but with its dynamic ability to lead the nation in technology development, perhaps we might better refer to it as the Invention State. Little New Jersey ranks 4th in the United States in total number of patents awarded to its citizens. It is the home of Thomas Edison, the man who changed the world [proclaimed The Man of the Millenium – Life Magazine, 1996]; and whose influence today motivates many inventors and entrepreneurs the world over. Edison and his creation of R&D laboratories is also the great grand-daddy of STEM, the world-wide curriculum to bring head and hands and project-based learning opportunities into the world of education. In this PowerPoint, see how New Jersey and its many locally developed products and innovations have come to define our modern world. Understanding Batteries: Concepts for Teachers – Making wet cell batteries is a big event for the kids, filled with enthusiasm and lots of “out of the chairs” energy. Head, Hands and Heart…Key Prerequisites for Unstructured, Team–based, Problem Solving: When you attempt to engage your gifted and talented students in unstructured team-based problem-solving or project based activities, current wisdom says to enable their heads and hands in a STEM-like classroom gestalt. Remember also, you must engage the heart, before you enable the head and hands. You must capture their “intellectual souls” first, so you can totally empower and enable the rest….head, hands, and heart. 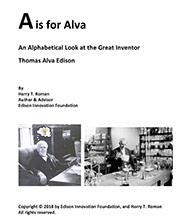 Teaching Thomas Edison in the Classroom: The Ultimate Gifted Education STEM Adventure: If you are teaching STEM, you are teaching about how Thomas Edison changed the world with his codification of the invention process-soon to be named the invention factory. Later it became known as the commercial R&D lab; and so useful was this concept that every major company [what we today call the Fortune 500 companies] created their own R&D labs—all of which was done before Edison’s death in 1931. 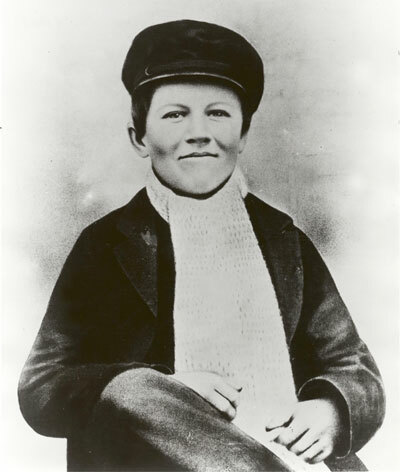 Beside his other great inventions like the phonograph, light bulb/electric utility system, motion pictures, and nickel-iron storage batteries…the invention of R&D labs stands out as the an incredible process that keeps the industrial revolution of the 1880s vibrant and alive to this day. It is the very centerpiece of what we refer to as technology driven growth— the very foundation of what we mean when we say “progress”. General Electric Company, an inspiration of Thomas A. Edison, later adopted a most apropos tagline in the 1950s …” Progress is our most important product.” Keep in mind that 70% of the annual economic growth of our nation is driven by advances in technology. Whatever Floats Your Boat – A Design Challenge: Here’s a simple design challenge, based on the PBS program Design Squad’s “Watercraft” activity that will prove engaging to most technology and engineering students. Pipe Cleaners, Plastic Straws, and Paper Clips – a Middle School Design Challenge: Here’s a simple design challenge where students build some very interesting structures out of simple materials like pipe cleaners, plastics straws and paper clips. 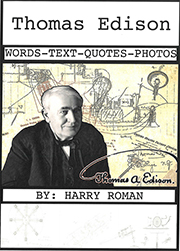 Edison’s Inventions: Download a worksheet to help your class research and explore Thomas Edison’s inventions – remembering that he invented more than the lightbulb! Content and Process, A Balance for Success in Problem-Solving: In the final analysis, it is about balancing content and process and doing something useful with it, like solving an urgent problem facing society. Stuffing young minds with just content or advanced content for that matter is meaningless. It is like having the content equivalent of a high performance automobile. Without process (the steering wheel) there is little chance of delivering all that content to a worthwhile destination. This I fear is the greatest challenge facing all schools today, the ability to fashion steering wheels. Teaching STEM with Thomas Edison: Both STEM and technology education has roots firmly grounded in Edison’s legendary West Orange Labs. When students study under the discipline of STEM and technology education they are automatically invoking Edison-style thinking and problem solving. They are being readied for a world of global competitiveness, eventually adding great value to society. Solving Real World Problems in the Classroom – A Realistic Application of STEM/STEAM Principles: Studying how problems are solved in the work-a-day world is a powerful way to allow gifted students to practice multi-dimensional problem solving, and apply STEM/STEAM principles in the classroom. The process is the same, and can be learned early in a student’s life, for such skills never obsolesce. The world will always need problem solvers. STEM – the Perfect Transition from School to Work: STEM’s fundamental premise … the world is interconnected; and solving problems is an inter-disciplinary and multi-dimensional endeavor … involving active learning, teamwork, collaboration, and student empowerment. The Sun: The sun is the source of all life on earth, powering our giant weather machine and fueling the temperature differences that drive the winds. All plant life, and hence all animal life, is dependent upon its beneficial light and heat. Because of the tilt our earth makes with the sun, we have seasonal changes, and variations in our light, temperature, and weather. Electricity Uses Math: The fundamental unit of electric energy consumption per unit time is the watt, in which we express the power rating of an electric appliance. Firefighting and Fire Safety in the Gifted Classroom: Here is a ready-made topic for the gifted classroom. Look me in the eye and tell me that you have students in class who do not get excited by the sound of a fire siren or at the thought of fighting a fire. Of course there is interest, and where there is interest, there is opportunity for education. Firefighting and fire safety is a topic of great relevance and G&T students can instantly identify with it. Role Playing and the Robot Design Challenge: G&T kids always rise to the subject of robots. It never fails to unleash creativity and intense interest. Here I present a favorite design challenge of mine, oft repeated over the years at many schools in a wide variety of grades … including with teachers at in-service seminars. Give it a try in your gifted classroom. Teach all Four Letters in Your Gifted Classroom, or you are not Teaching STEM; and if you are not, Shame on You! : There is a huge temptation in the modern gifted classroom to embrace STEM half-heartedly, that is, love the S & M and sort of fake the T & E. This is a very bad thing to do. It’s all four letters, or its not STEM at all folks. Stimulating Technology Projects for Your Gifted Classroom: Inter-disciplinary and multi-dimensional problem solving is the need to blend together a variety of constraints into a solution that is reflective of all the concerns of a particular problem. This is a hallmark of the world of work; and the essence of teamwork on-the-job. While doing this may sound overly complex for students, I assure you it is not. What’s a Red Brick? : Here is an interesting challenge I like to give to gifted classes of all ages, including college students. I once gave it to 40 teachers in an in-service seminar class I was teaching on invention. It’s really all about structured idea generation, and about getting teams of students to think before they start trying to solve a problem challenge. Preventing Stolen Cars – An Invention Challenge for Gifted Students: Good invention sets out to solve a real problem, a situation people recognize as important; and are willing to pay money for a solution. Invention, after all, is an expression of capitalism in action. Thomas Edison said it all years ago, “I invent to make money, so I can go on inventing.” In the activity described here, gifted students can attempt to solve a very real problem … the stealing of cars. STEM Thinking and the Law in Your Gifted Classroom: Technology affects the legal sector of our society, and legal concerns can also influence the design of new products and services. Your gifted students should explore this interaction. Using Music in your Gifted Classroom: Reach gifted and talented kids through music. Explore the technology behind those wonderful sounds they enjoy coming through their radios, iPods, and computers. Using Timelines in Your G&T Classroom: Teachers recognize the importance of integrated educational experiences for their students. STEM-based learning is one way of accomplishing this, as are special classroom challenges, and design competitions. A Tech Ed Newsletter Challenge: In this challenge, students will combine technology education and communications skills, to produce a useful product for other teachers and students to enjoy. Help others discover the excitement, relevancy, and inter-disciplinary nature of tech ed. You and your class are going to design a technology education newsletter. Good communication skills are absolutely essential in the world of work, and here is a superb way to integrate that into the fun of technology education. A Water Service Challenge: In this activity, we are going to design a water utility system, one that uses surface runoff into an open reservoir as the potable water source. There is going to be some math, so hang on! Designing a Firefighting Robot: In this challenge, students will learn about mobile robots and attempt to design a firefighting robot. This activity should demonstrate the complexity and inter-disciplinary nature of this technology. First Aid Challenge: In this challenge, students will be asked to develop a design for an off-the-road first aid kit, the kind that can be stored in a recreational vehicle (RV). Ms. D. and Harry; and the Single Sheet of Paper Challenge: Ms. D. and Harry have been working together for 7 years. She is an 8th grade science teacher at Abington Avenue Grammar School in Newark, NJ, and he is a retired research engineer and inventor who went to the school back in the 1950s. Together they motivate students to stretch beyond the normal classroom activities into the realm of open-ended problem solving, hands-on demonstrations, and team-based design challenges. The Concrete and Pavement Challenge: Our modern world is characterized by the extensive use of concrete and asphalt pavement. Periodically, these materials are replaced and the old materials disposed. In this challenge, students will be asked to develop ways to re-use the old materials. Creative Problem Solving in the Home of the Gifted & Talented: Every day, we solve problems around the house, we just don’t think of them as formal academic problems, but rather a regular part of life. So why not inculcate your children to think of all problem solving activities as a natural part of life? Why make them something onerous, to be feared or tense about? Humans are wonderful problem solving machines. Our brains are built for it and the more we do it, the better we become at it. Stretch your children’s “brain muscles” with lots of home-based activities. Use the ones here as typical examples. I am sure you will be able to think of many more. STEM – Its Importance and Promise for Gifted Students: STEM is a potentially new educational powerhouse, and when applied properly, this curriculum integrating process can make a big difference in how our future leaders see the world, and solve problems. As someone who has spent four-decades bridging the gap between schools and the world of business, I wish to explain why I think STEM is important. During my engineering career, I have worked with the schools to bring the excitement of science, invention and technology into the gifted classroom. From my vantage point, STEM is an exciting paradigm for giving our gifted children the tools to compete in the highly competitive, and often unforgiving, global economy.